Merchandise is a huge factor in who you are and what you want to be represented by as a retailer. While researching and separating merchandise by LOVE IT or I think we can find better, we decided that along with blogging about our reno, we wanted to blog about our amazing merchandise as well. It is so important to us to make sure that we test, try, and love every potential product that will be sold in Hitch. Where to begin? As a long time cheese lover, the DIY cheese box was naturally our 1st choice. The Urban Cheesecraft kit comes in multiple different options. Goat, Brie, Feta, even tons of dairy free options! Love it already? You can shop our site here. Each kit makes about 8 servings. 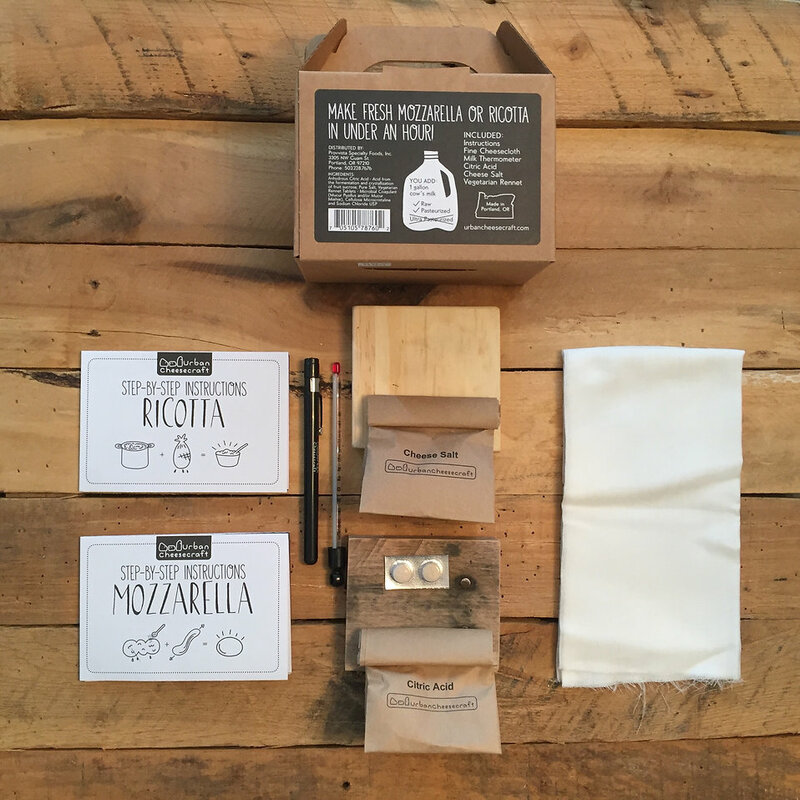 Like the true Italians we are, we opted for the Mozzarella and Ricotta kit to be the pioneer. Each kit includes the below. Our first step was to gather the remaining ingredient, cow's milk. Be sure to double check the pasteurized options. Ultra pasteurized in this case would not work. We discovered this after two trips to the grocery store. A pinch of this and a dash of that and it was starting to feel like a full blown science experiment. The instructions did recommend using gloves. Unfortunately the only options we had were lemon scented. 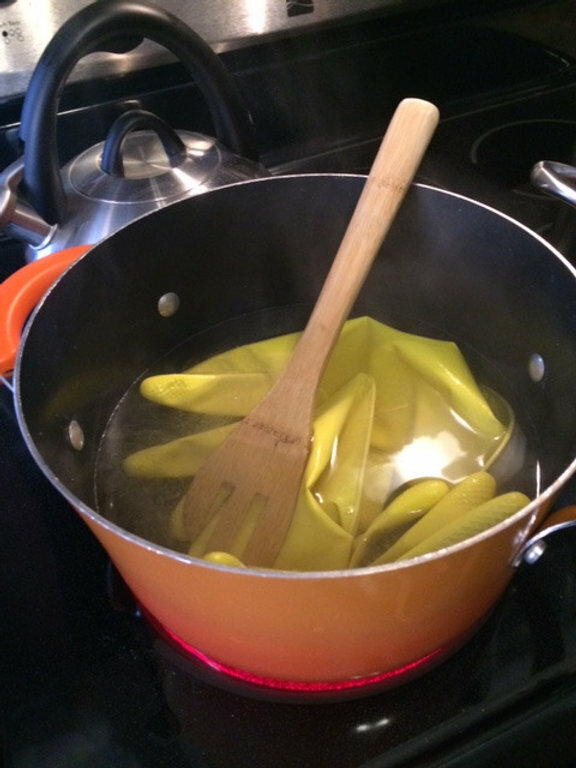 It was Joe's bright idea to boil the gloves to remove the manufactured lemon scent. I wasn't exactly sure on this, but we just ran with it anyway. Another good idea when performing an experiment, or as many other people call it, cooking, is to make sure you have the lingo down. We must have ran around the kitchen for a solid 10 minute trying to figure out what the "whey" was. After following the step by step instructions, Mozzarella cheese started to form right before our eyes. It really was just like one, two, three and there was cheese. For full on instructions, check this you tube.